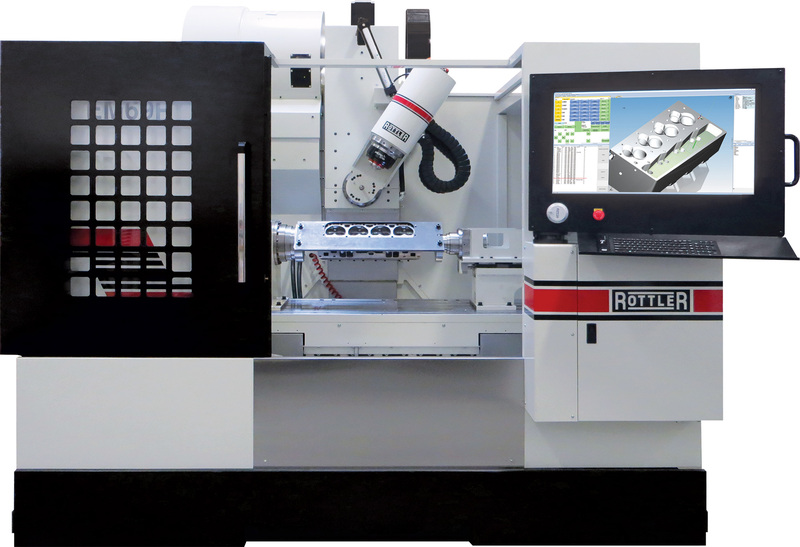 Rottler’s Next Generation 5-Axis CNC Multi Purpose Machining Center offers the precision and speed needed to reproduce cylinder heads with exceptional accuracy – with no handwork needed. 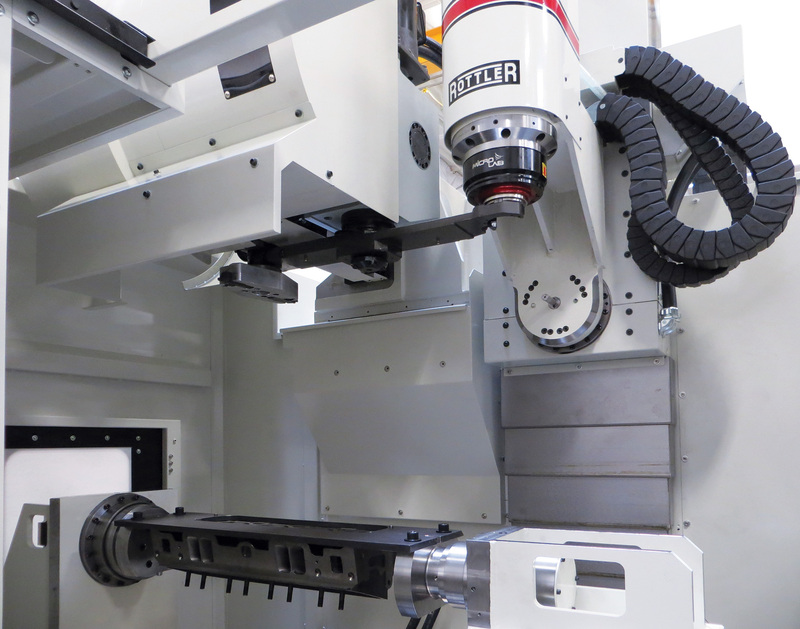 The EM69P also has the capability of porting intake manifolds with the same techniques used to port cylinder heads while also perform standard jobs such as boring, surfacing, line boring, lightening and additional machining requirements. 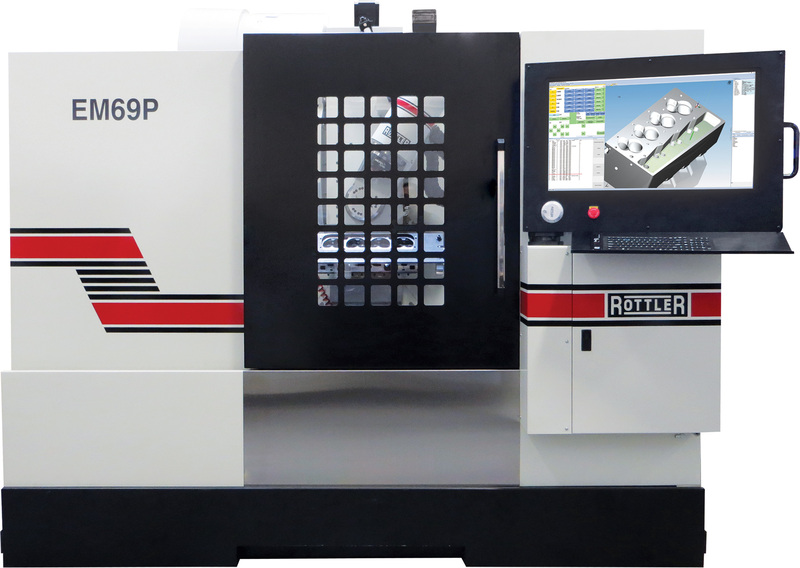 The EM69P features Rottler's Advanced Optional 4C Software. The PC-based single processor control system by Direct Motion is highly interactive and very responsive. Our next generation 4C control system extends capability to include importing of CAD models which can be automatically be converted in toolpath that the machine can then use to execute actual machining operations. The upgradeable software can be networked for enhanced efficiency. The Advanced DM software tools allow manipulation of port design and minimize digitizing time. This allows an operator to pick up data once and tweak the design (including hand-ported designs) as needed.